CAMBRIDGE — More than half of the roughly 125 Harvard University students investigated by the college’s disciplinary board for cheating on a take-home exam last spring were forced to temporarily withdraw, school officials announced Friday. “The tuition issue — it’s an important one, but of all the issues we have with the Ad Board, it’s way down on the list,” said a father whose son withdrew after he was found guilty. He called Smith’s letter insulting. 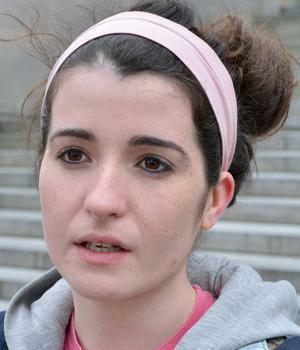 “Sending someone away for a semester or a year, it’s awful,” said Georgina Parfitt. Smith’s e-mail outlined upcoming plans by the school’s Committee on Academic Integrity to help students and faculty find ways to prevent academic dishonesty or inappropriate collaboration. These measures may include instituting an honor code or incorporating lessons on scholarly values into courses and residential houses. One student who was exonerated said the recommendations rang hollow — the majority of similarities in the take-home exams occurred, he said, because of unclear directions by the instructor. Focusing on reforming student attitudes, he said, is wrong-headed. “That’s not at the root of what happened in this particular instance,” he said. On campus Friday, opinions among students were mixed. Michael Constant, 19, said he thinks the college wanted to make a statement. Not punishing students, he said, would have been the same as condoning the behavior. But Georgina Parfitt, 22, said the punishment was too harsh, and that many students in the class could have been confused about the policy. 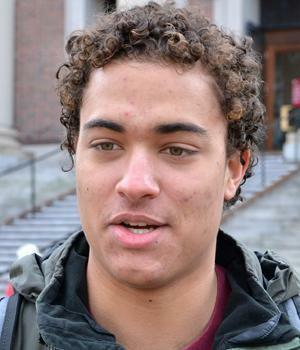 Harold Eyster, 19, said students who cheat should be punished, but he was disappointed by the college’s response. Some professors have begun forbidding collaboration among students, he said, a move that Eyster feels could hinder learning at Harvard. “Collaboration is so important in academic learning,” he said.